My game will not recognize the mod itself for it will not show any of the parts. Have you been able to get to mod to run? 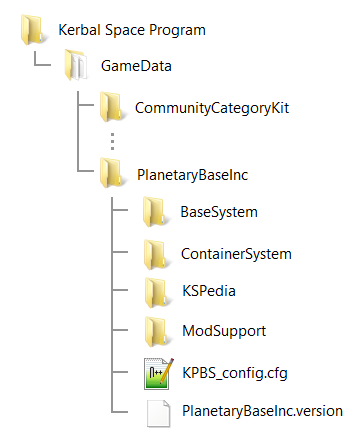 Did you put the extracted PlanetaryBaseInc Folder into you Gamedata folder? I have run into a problem with both the modular corridors. No matter what part I put on top of them, it will fall through the corridor part. In assembly mode it works fine, but the second I move to the launchpad, it falls apart. I only have 2 parts connected to the Modular Corridor. One beneath it, which is a Stack Decoupler and one on top, which is an Inline Clamp-O-Tron. 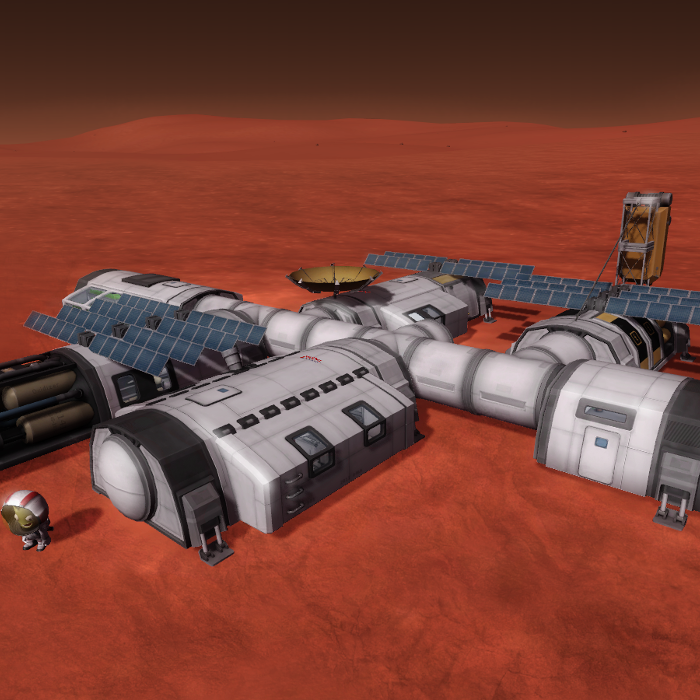 Both parts are stock KSP parts. I've tried changing out parts and altering the order, but it still happens every time. Is this me doing something seriously wrong or are the parts somewhat buggy? what physiks settings do you have set in your game? I have tried to reproduce your issue but the parts behaved like they should. But i observed a severe stutter, which is also most probably caused by a collider issue. I will fix that and make a hotfix. When this will not fix your issue, let me know. I just uploaded a new version. Could you try it out and tell me if your problems are solved? I press download move the mod into GameData and nothing is working. ok so I got the mod working than I got off now back on the save file is not working. How is the save-file not working? Is there an error message that parts are missing. Or does the game crash? If there are weird bugs, can you provide the the KSP.log file that is created for every run of KPS? It it in the root folder of the KSP installation. It must be the logfile that is created directly after you encountered the errors in KSP and closed the program. What is not working with the mod? Can you please add drills that would fit in the storage bays and a converter? Hmm, this was also once reported from a user in the forums. Does this also happen after you restart the game? What are the physics settings in your game? There are some galleries in the KSP-forum thread.